COMPETE OR COME ALONG FOR FUN! 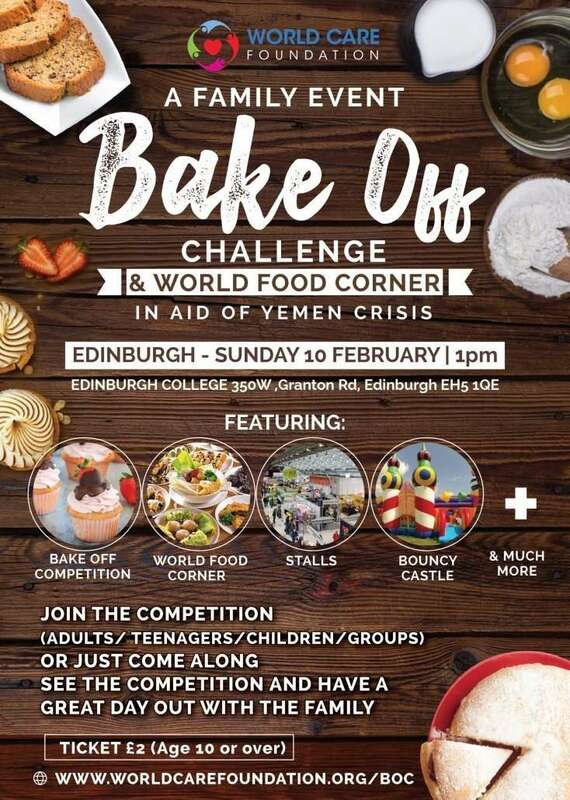 World Care Foundation is bringing A Bake Off Challenge to Edinburgh this February in Aid of the Yemen Crisis. Yemen has been in a state of war for several years causing severe famine and crisis. They are literally starving to death. Our pledge is to help those suffering by providing needs such as clean water, food and other urgent items of need. We invite you to take part in the competition or just come along and see other participants compete with their sweet and/or savory dishes in different categories and have a great family day out. In addition to the exciting Bake Off Challenge; there will be loads of other activities including food stalls, toy stalls, bouncy castle and much more. 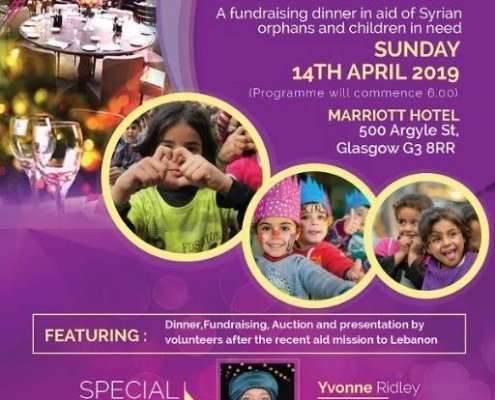 It will be a day full of activities, a day out for the family. You can take part in one of the different participant categories (details below), bake at home and bring your dish along to the competition on Sunday 10 February. You can compete in both sweet and a savoury category at the same time. Anyone can take part in the competition as long they are not a professional baker and the dish has to be suitable for vegetarians. Group Competition: Participants can represent a group or an organisation. 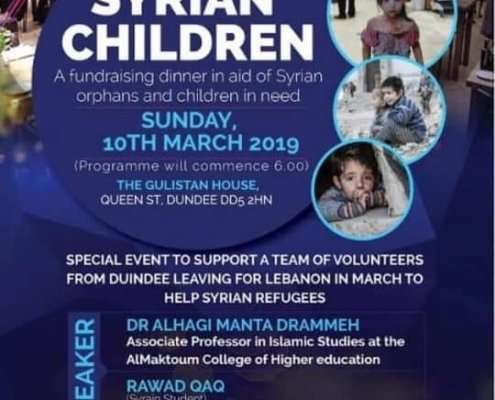 This can be a group of friends, family, team or any other formal organisation such as schools, mosques, church, sports club, social group etc. The Bake off Challenge will be judged by well-known local chefs and celebrities plus there is an opportunity for a member of the public to become one of the judges! 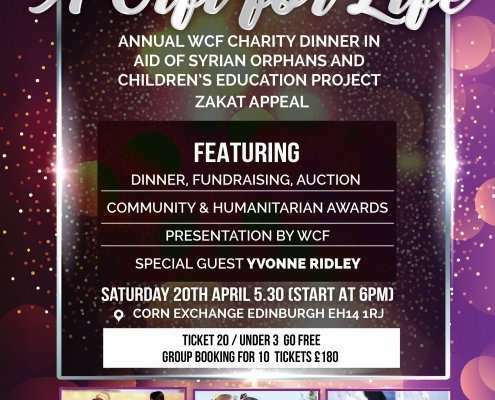 You can also join the judges’ panel, so if you think you have the know how to be a Mary Berry or a Paul Hollywood then register at this linkhttps://goo.gl/forms/cgRlp5YauenWbfjo2 share the BAKE OFF CHALLENGE poster on Facebook and tag World Care Foundation. That is it! We will enter your name into the draw. Its FREE to participate in the challenge!